In what might be one of the most difficult strikes in the entire game, your Destiny 2 Fireteam will have to squad up and head deep into Vex territory, in The Pyramidion Strike. This unique Strike combines elements of platforming with an emphasis on timing, as your entire Fireteam can get wiped out in an instant if you make the wrong move. This Destiny 2 Pyramidion Strike Guide will give you all the info you need to be successful. Just in case you need anything else related to Destiny 2, including a listing of every other Strike in the game, as well as everything we know so far about the mysterious first Raid for the game, check out our Destiny 2 guides walkthrough hub, for all that information and more. If you'd rather get your tips in video form, we've got a full playthrough of the Destiny 2 Pyramidion strike for you just below. 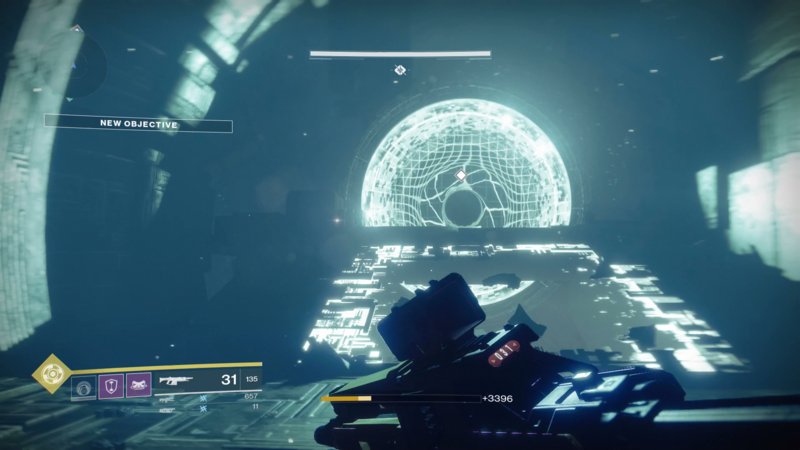 At the outset of the Pyramidion Strike, you'll have to fight your way through a few waves of Vex, before standing on two different platforms on the ground to open up the door to the Vex temple. Remember what these platforms on the ground look like, because this isn't the last of this mechanic you've seen in the Pyramidion. After traversing a tight corridor, you'll find yourself in front of four Goblins, looking down on the scenery below. Take out the Goblins and descend down to the bottom platform, taking care not to knock yourself out with a large drop. Travel down the bottom section, and you'll have to pass through a series of lasers in a corridor, making sure not to touch any of them. 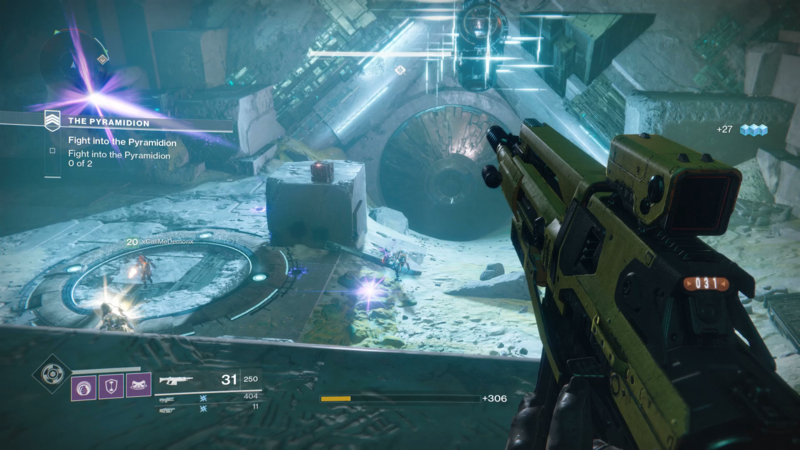 Again, this is another recurring feature of the Pyramidion. Hop over a laser grid, and then slide under another, to find yourself facing a drop. Place yourself in the corner of the ledge, and drop down to the floor below, missing all the lasers. In this next area, you'll be rushed by an onslaught of Goblins, Harpies, and Minotaurs, so make sure to hang back and concentrate your firepower on the horde, leaving the bigger targets until last. Defeat the swarm of Harpies that arrive at the end of the arena, and you'll be invited to travel through a Warp Gate, where your laser-dodging skills will once again be put to the test. There isn't too much to say for this section, aside from the fact that timing is everything. 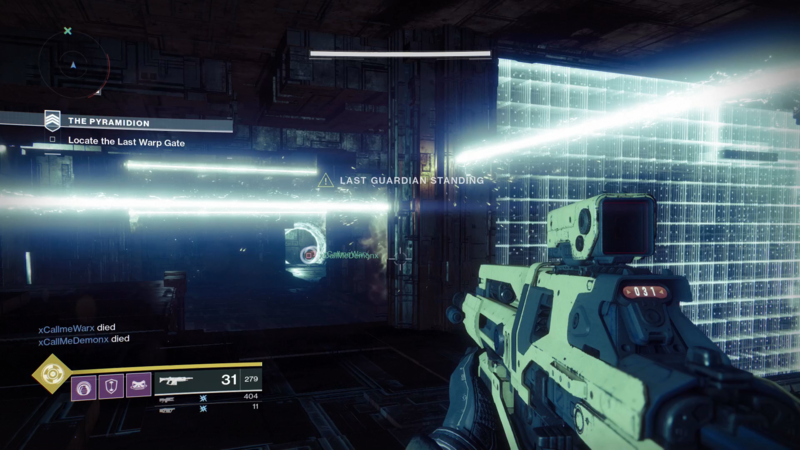 We'd recommend you hang back and spot the patterns in when each laser grid appears and disappears, as if one of your Fireteam gets caught in a trap, it's a hard task to go back and revive them. After you've cleared this series or laser traps, you'll then find yourself in a massive Vex hallway, faced with Harpies, Goblins, and more. Focus on taking out the enemies, but you'll then be assigned the objective of activating three Altars around the area, all of which will be glowing red. Simply have each of your Fireteam stand in an Altar, and you'll take down the barrier preventing you from reaching the next Warp Gate. Past the Warp Gate, there's yet another series of laser grids for your Fireteam to take on. Patience is a virtue, and it should be used generously here. Make it through the few Goblins stood in your way after this area, and you'll then have to run through a series of lasers in a tight corridor, taking your time between each one as you wait for exactly the right moment to run. In this next arena, you'll have to hack 4 network towers in order to proceed. Stick together in this area, and hit one tower after another, striking in force to clear the Vex out of each area. Go through the next Warp Gate, and it's time to take on the Genesis Mind boss. 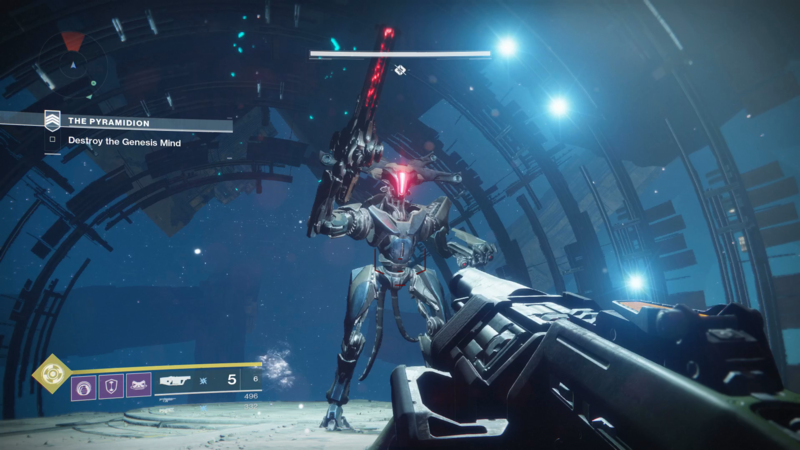 This boss is downright difficult, and it also summons in order hordes of other Vex fairly regularly, making it one of the tougher fights in Destiny 2. As soon as the Genesis Mind boss spawns into the arena, hit it with everything you've got, as it's a small, but useful opportunity to deal some solid damage. Through this fight, the Genesis Mind will back off and trap itself within a protective area, and the only way to bring down this protection is to activate two platforms on the floor, on after another. This is tricky, as not only will ordinary Vex stand in your way, but Genesis Mind will bombard you with attacks from within its protective area. Always take out the minions first, but the key here is to keep moving around the arena at all times, never stopping for long enough to let Genesis Mind lock onto you with any of its powerful weaponry. Near the end of the fight, Genesis Mind will lose its head (literally), and go charging around the arena at you, just like a Goblin would if you destroyed its head. Spread out in this section, as while Genesis Mind charges at one person, the other two can lay down firepower on the boss. Genesis Mind has been one the toughest boss fights we've experienced so far, but hopefully the rewards at the end of the Pyramidion Strike will justify the effort. You might have now taken down the Pyramidion and Genesis Mind boss in Destiny 2, but there are still four other Strikes for you to take on. For a complete walkthrough of each of these, head over to our Destiny 2 Strikes guide hub. We've also got guides on how to get the Rat King in Destiny 2 and how to get the Mida Multi-Tool in Destiny 2.